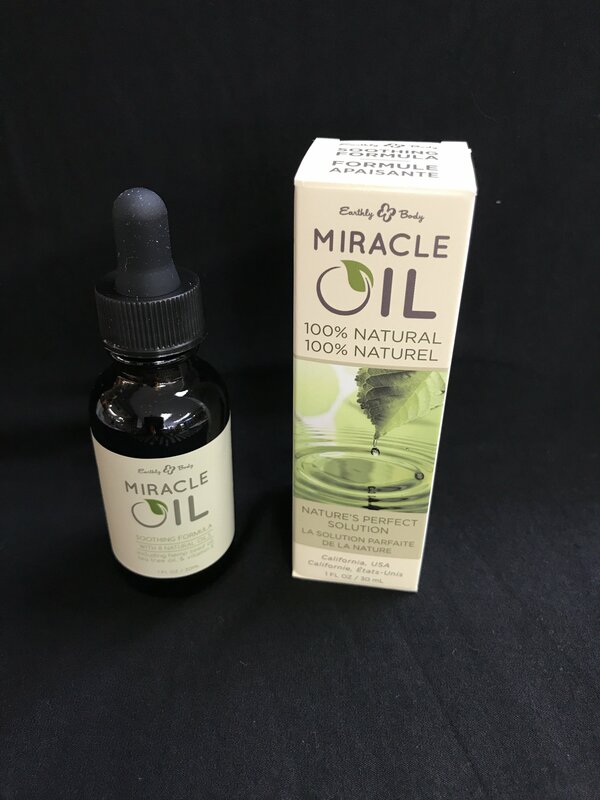 Miracle Oil from Earthly Body contains 9 natural healing oils, including Vitamin E, Hemp, and tea tree. It is great for abrasions, many types of skin conditions including sunburn and burns. It's anti-fungal properties are helpful against athlete's foot and toe fungus. It is soothing and moisturizing on sunburns or new tattoos. It's antibacterial properties make it useful for new peircings and insect bites. Also helps with painful joints and it's reported to be a wart and mole remover! Miracle oil is named that for a reason! It is helpful for a wide range of skin needs and for natural antibiotic and anti-fungal protection.